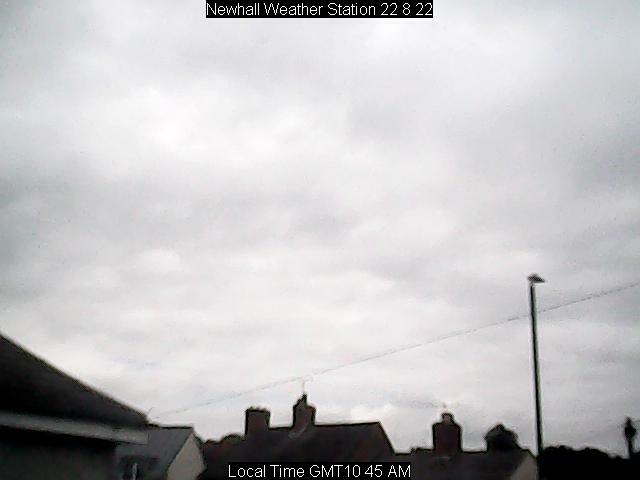 Welcome To Newhall Weather Centre Situated In South Derbyshire. ALT 331ft Above Sea Level. LAT 52deg 47mins 2secs North. LONG 1deg 34mins 5secs West. I have always been interested in keeping records of local weather conditions. Over the past years this has been done by myself using a weathervane, thermometer and barometer. However in 2002 I came across a website offering electronic weather stations for home and industrial use needless to say I am now the owner of a state of the art Davis Wireless Vantage Pro Weather Station, which enables me to take readings far more accurate than ever possible before. This station has been up and running now for the past year with no problems and the observations can be seen on this site.If you wish to see any of the Weather Stations on offer then use the links above either Weather Stations or Davis these give you full information on all their Weather Stations on offer. The other links take you to the recordings from my own Weather Station and are updated every 30 minutes. I am a member of The Climatological Observers Link which is a group of people all with a common interest in Meteorology. Members from this Country and from around the world send in their monthly reports on Weather Conditions from their Weather Stations and this is published by COL.For more details see above at the COL link.Also take a look at the link above Weather Eye this takes you to Ian Curries site for the Weather Eye magazine containing a wealth of useful information to anyone interested in the weather Hope you have enjoyed your visit to this site if so please visit again soon. Many thanks. Paul.